It’s not hard to start learning how to pick a lock. This is why we have created this quick start guide to get you started lock picking. Check out our infographic and video below to get going. Step 1: Torsion Wrench: Put in bottom of key hole, lightly apply tension. Step 2: Pick Tool: Put in top of key hole to all the way to the back of the lock. Step 3: Put pressure on the wrench, move the pick from the back of the lock to the front quickly. Step 4: Keep raking until the tension wrench turns the lock cylinder and you are in. 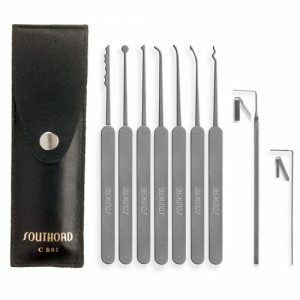 This lock pick set by Southord gets our #1 Choice rating. Known for their quality and low price, this lock pick set really is hard to beat. Watch our quick and dirty video below on lock picking. It’s by far the fastest way to get started. In this video, we show you how basic locks work. We also pick a few padlocks so you can see how easy it can be. As you will see, we pick both practice locks and master locks fast. 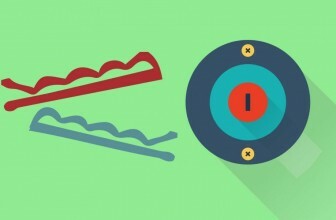 With a little practice, you will wiz by these simple locks just like we do. Under the video, you can find our #1 Editor’s Choice Lock Pick Set. We are your go-to source for everything in the world of lock picking. Our free How To Pick A Lock Guides will help you no matter if you are stuck outside your house, your car or just practicing a new skill. We source the best methods from professional locksmiths and lock pickers. We do this so you don’t have to call a pro. That means you don’t have to spend that hard earned dough. No matter if you are trying to get back into your house, car or whatever you locked your keys inside of. We’ve all been there. Don’t stand defeated staring at your car door and knocking your head on it as you swear and google some options to get back in. To learn all lock picking techniques in more depth, check out our ultimate guides on how to pick every type of lock you can think of here. Now, you don’t have to. 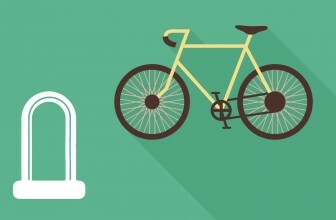 Learn with our free handy guides on every lock that you can think. We cover everything from combination locks to master locks, door locks and car locks. There are so many different types of locks. We aim to cover all of them and inform you on which ones will protect your house and how to pick them all. If there’s a lock, we can pick it – it’s just a matter of time and technique. Even after reading this intro you are still probably saying to yourself: so what is this skill set exactly? Well my friend, read on, check out our guides and you will find all the answers that you are looking for. We cover all the methods of lock picking so no matter how you want to pick a lock – there will be a how to pick a lock guide waiting for you right here. From credit cards, lock pick sets, hairpins, bobby pins, paper clips and all the rest, you need look no further. Locks can be difficult, riddled with all kinds of detail and tedious learning. At Picker Of Locks, none of those will be an obstacle for you to learn how to pick your very own locks. None of our methods are for nefarious purposes, so don’t let our logo fool you. 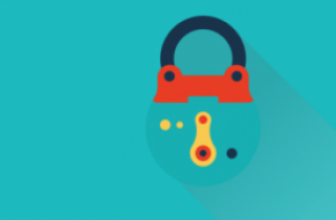 Picking locks can be one of the funnest and most useful skills that you can learn. Honing this skill saves you money instead of spending it on 24 hour locksmiths. They can be expensive, take it from me. It didn’t take me long to start searching for tips which is what inspired us to partner with the best professional locksmiths in the world to bring you step by step tutorials, how to guides, tool reviews, lock pick reviews and referrals to pros if you haven’t practiced up the craft just yet. If nothing else, you will come away with learning that all the locks that you have been relying on your entire life are mostly easy to pick and realistically do not provide you with a real amount of security, but I won’t break out all the spoilers here, you will have to check out our guides to learn and prevent picking of all kinds of locks. Are you as stoked on learning these skills as we are? If so, please comment on our posts, connect with us on social media or drop us a line. We are ever stoked on bringing new and innovative ways to pick a lock. If there is any specific tutorial or guide that you want to see but don’t see here on our website yet, please contact us. Simply go to the contact tab up at the top of the page and let us know what you would like to see! Get out into the field and as always, happy picking! Well, that’s easy – we pick locks for fun! Not to mention it is one of the top 3 skill that you will need in the zombie apocalypse hands down. Zombies won’t be able to pick locks like you will be able to after you finish learning everything there is to know here at Picker Of Locks. We’ve all been there, stranded and alone in front of your apartment door desperate with no key. You may need to call an expensive locksmith, or you may have learned to be a master lock picker and you learned how to to it all here on Picker Of Locks. That’s what we are banking on, teaching you exactly how to pick the locks you need to make your life easier and a little more fun. You should also understand how to pick locks so that you can better protect your home, family and belongings. There is nothing worse than a home break in, by learning the lessons that we teach here we hope that you gain the knowledge necessary to make informed decisions on getting the most secure locks for you. Warning: learning the art of lock picking is extremely addicting and you will want to practice picking locks almost everywhere you go. Which brings us to the naughty list, a few things that should be said about what not to do once you’ve honed in your craft. For sure don’t do the obvious: breaking into buildings that you don’t own or rent, stealing cars, robbing places or being an all around total douche to society. This is pretty darn basic, but let me tell you, there are some legit dummies out there in the world that are desperate and want to steal your things. 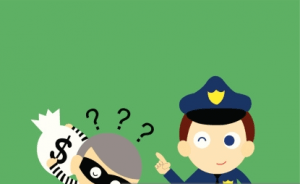 The good thing is that the sooner you learn, the better you will be able to protect yourself from thieves. Now that we have that out of the way, we can continue talking about how awesome and badass knowing how to open locks is. If all else fails, we’ve all been there, you may need to call a ninja-like locksmith to break you back into pad. We will be adding an amazing locksmith network for every state soon including 24 hour locksmiths to help you out at anytime in need, so stay tuned for that! These dudes know their stuff, so you can rest assured that they will pick your lock and may be ever re-key it right there on the spot. If you’re anything like me, you want to pick these things yourself and not have to rely on one of these professionals to bust back into your pad. However, if you must or have tried yourself and failed, a locksmith can sometimes be a real saving grace. These professionals are experts at breaking into places for good not for bad. These guys are basically the modern rendition of white magic – but once you demystify the art, it will seem more like a dope skill than a supernatural occurrence. Make sure you peep out our dope reviews on some of the best (and worst) lock pick sets. Making sure that you have the proper lock pick sets and gear will ensure your success in learning the skill. Not all sets are created equal, let me tell you! Portable ones can sometimes be some of the best quality and effective ones on the market so make sure you check those reviews out so you don’t waste time and money on bad lock pick sets. By now you are ready to start learning all the tricks! Okay, the first step is to find a lock. Second step, read our posts on how you pick any type of lock of your choice. The third step is to get a lock pick set or MacGyver one out of paper clips, bobby pins, hair pins or something of the sort and get to work! There are several different methods of from the most basic to the most advanced. But don’t fret, we walk you through every sort of technique to open locks and you will be able to pick a lock in no time. 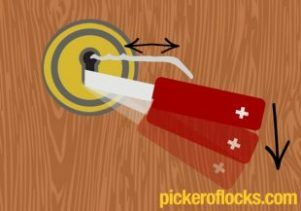 Checkout all of our How To Guides to find the right type of technique to employ while you try to figure out a particular lock no matter what kind you happen to be facing be it a padlock, master lock, door lock or something else. Where Can I Get Lock Picking Sets? Is Learning This Skill Legal? If you know how to pick a door lock and you’re employing this skill to get into your property, you’re not running afoul of the law. Henceforth, it’s a legal exercise until you try to invade someone else’s privacy by entering the premises without authorization, so don’t be a complete tool and steal people’s things. So long as you don’t employ your exercises outside of the verticals that the law permits, you’re on the safe side. Certified locksmiths and first responders do the job professionally, but you don’t want to rely on them if you can learn the skill for yourself! There is no permit that you need in order to carry a lock pick set around with you. Cops may ask you something along the lines of “what the…” are you doing with a tool set and to that you can answer – because I love it. So yes, picking locks is legal in every state in the US and most around the world so don’t be paranoid and have some fun! You might be thinking, dang this seems hard and it will much so much easier just to hire a trained specialist, right? No doubt it’s the quickest escape but it will also end up costing you a lot of dough. Lock-picking isn’t singularly beneficial when you’re breaking into a home. You can exercise the skill of picking locks in the interest of your personal endeavors and quest for knowledge because it is straight up fun to do. Throughout the years, we’ve somehow convinced ourselves that these security contraptions called door locks are impenetrable. Sadly, they’re not! The sooner you come to terms with this reality as you learn how to pick a door lock, the easier you’ll discover its infinite benefits. We aim not only to teach you exactly how to pick locks but also to make more informed decisions on the security of your own home or office to protect your family and belongings. Lock picking is not only awesome, it’s fun and you can feel like James Bond himself as you’re doing it and who knows it just might impress the ladies (or guys) just like in the movies. Let’s take a moment to appreciate the skill of how to pick a lock as it’ll greatly reduce your out-of-pocket expense and migraine headaches from bashing your head on your door. Picking locks goes beyond the basic exercises of unlocking standard doors to your home or car. In fact, today’s advanced door lock technology is even trickier than earlier mechanisms. Furthermore, lock technology experts today are using cutting-edge tools and masterful strategies to open these devices. Here, we will be showing you the best way to pick a a lock no matter what kind you end up running into. 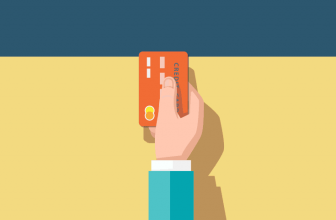 For the employment of certain tools and technology, some states require recent licensing. Have employed a locksmith-for-hire in the past? Were you satisfied with the estimate and the work done on your door lock? It’s unfortunate that some so-called locksmiths are the least reliable. What’s more, some will keep you waiting outside longer than you ever planned on. That said, your participation in comprehensive lock picking training is a most advantageous exercise for many reasons. Image not having to call on anyone to rescue you from this temporary inconvenience. If it’s a standard lock, unlocking will probably take you the same amount of time you’d require getting on the phone with the locksmith. The other benefit, is that once you learn this unique skill, you can use that investment over and over again. Whereas with a locksmith, you have a one use break in to your car or home and that’s it – there goes have the week’s paycheck. So, be smart and learn how to pick locks so you don’t have to rely on those pesky locksmiths. You’ll become an accomplished escape artist if someone has succeeded in masterminding your unfortunate capture. If you learn this skill and your safety has been compromised, your escape is imminent presuming you act wisely. Learning how to open locks has the potential for both negative and positive outcomes. So don’t get caught escaping your captures or zombies. For example, it could save someone’s life, reduce property damage or cut door unlocking costs if it’s employed properly. Equally, it’ll cause the destruction of valuables if it’s exercised incorrectly by bad dudes. So don’t let all the secrets out to the sketchy among us. Once you’ve mastered how to pick a door lock, your speed is likely to increase as you practice. Soon, it’ll take you seconds to hijack a door lock every single time you try. Padlocks are extremely easy to pick. We recommend starting with those first, then you can graduate to door locks. You will really be able to hone in your skills that way. If you want to see what a good lock pick training set is for you, peep our Lock Pick Set Reviews and they will tell you basically everything you need to have in a starter kit or a professional kit. Every lock has its own technology and sometimes, you’ll need to some extra effort in resetting it. The standard lock technology that you will find is the pin and tumbler locks. 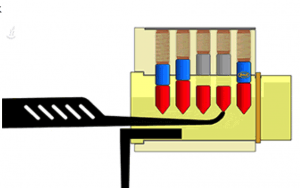 Most master locks and door locks utilize this basic mechanical process. Lock technology has remained basically unchanged for a long time. However, there are some new types of locks that are trying to make their way into the mainstream. Nevertheless, you can cultivate advanced skills on opening locks, even if it boast complex technology. With these varieties, picking the pin sets individually might garner wealthier results. Additionally, you might need to employ a methodical approach when hijacking these cutting-edge designs. 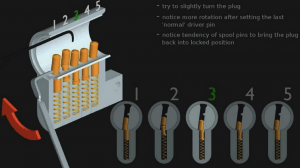 Most locks will stay in this pin tumbler configuration, however there is a new age of digital lock hacking that we show you how to do as well. 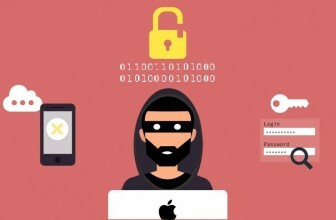 However, a study concluded that you’ll reset these locks easier if you correct the compromised pin stack first. You should follow this routine until you reset the entire stack. The adage “practice makes perfect” is definitely a stark reality when it comes to picking locks. Above all, you’ll expand your expertise on lock picking as you practice more and more. Training locks do make an excellent practice tool as you sharpen your skills. These locks are transparent so you can see the movement of each individual pin and how the pick you are using interacts with them. Who knows, you might even be inclined to advance on a professional locksmith career later in life aye? Whether you are looking to start a career, just have fun, survive the zombie apocalypse, or just get back into your house – this is the place for you. 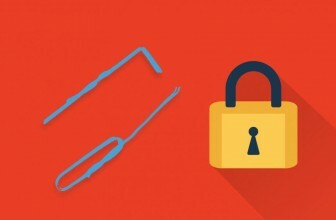 Check out all the posts about picking locks with everyday objects like bobby pins, credit cards and paper clips. How many nights have you been in peril without your key in sight? That padlock is totally grown legs and peaced out, but how?! You can fashion your own picks out of household items and get into that simple pin tumbler lock. No matter what you are picking, this skill will keep the locksmith away. Now to be fair, it’s not as glamorous as it seems. There is a ton of practice and patience involved in learning the process of becoming an expert lock picker. 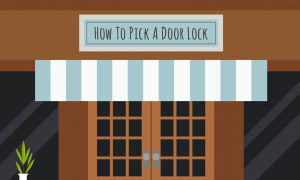 Lucky for you, the team here at Pick Of Locks has put together the best guides on the web. We cover everything! From what types of locks will keep you safe, lock pick sets and articles about new digital locks, hacks and more! There is never a dull moment here because we are 100% obsessed with picking locks. Now that is real talk. The talk is so real in fact that we are finding new methods and new locks to pick all the time. Stay tuned! If you are looking for a type of lock to get picked, the chances are that we got the tutorial for you! Alright, speaking of real talk, who is excited to start picking some locks?! Well, needless to say – we can’t get enough. You might say that we are a little obsessed with what we do. Learning lock picking does not have to be hard. 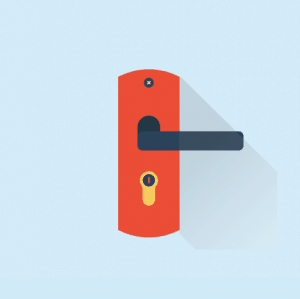 The upside is that you never have to worry about being locked out ever again. That is, once you learn how it all works. The best parts about this hobby is that it is inexpensive and easy to practice. It doesn’t matter where you are. There are locks all over the place for goodness sake. When you’re at work, home or just chilling out; this skill is always fun to practice. Lock picking really is like solving a complex rubix cube or puzzle each time you pick a new type of lock. We are always on the conquest to deliver new and interesting takes on locks and methods. So if you have any suggestions or would like to become a contributor, hit us up! Don’t be shy to reach out. We like making friends with fellow lock pickers and aspiring peeps that want to learn how to pick a lock along with us.